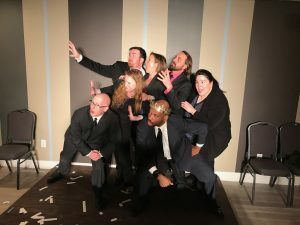 Join Disposable Theatre Improv house team at Clancy's as they team up for a night of laughs created from audience suggestions! 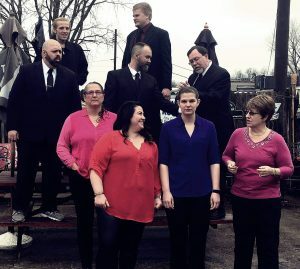 We've been making NW Indiana laugh for years and every show is different and every show is a great time. Tickets are $10. Show starts at 8 pm. Doors open at 7:30 pm Cash bar. 21+ venue. 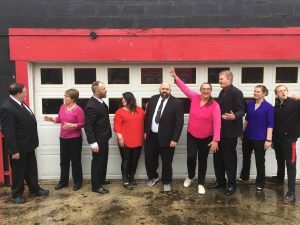 Join our house team, Disposable Theatre Improv at Parea in Valparaiso as they team up for a night of laughs created from audience suggestions! It's a great way to start or end your night out in downtown Valpo. Every show is different and every show is a great time. Fun for large groups! Alcohol and food available. Tickets are $10. Show starts at 8 pm. Doors open at 7:30 pm Cash Only bar. 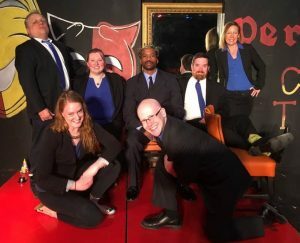 Join 9 Bad Basses, Disposable Theatre Productions newest house team, at Clancy's in Portage, as they bring a night of laughs, all created from audience suggestions! We've been making NW Indiana laugh for over 9 years and we don't plan on stopping now. Every show is different and every show is a great time. Tickets are only $10. Show starts at 8 pm. Doors open at 7:30 pm Cash bar. 21+ venue. 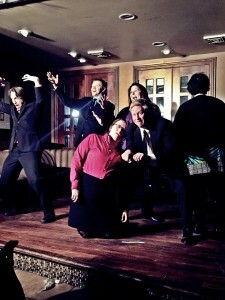 We're bringing our laugh-filled house improv team, Disposable Theatre, to Miller Beach! Every show is different because it's all made up! Bring your friends and get ready for some fun. GET your tickets early as seating this venue has limited seating. Tickets are only $10 and available on our website. Cash bar. Laughs included.